The football associations within the Crown dependencies of Jersey (Jersey Football Association), Guernsey (Guernsey Football Association) and the Isle of Man (Isle of Man Football Association) are affiliated to the FA despite having a separate identity from that of the United Kingdom and by extension England. 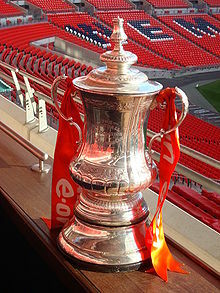 They are considered county football associations by the FA. Matt Le Tissier and Graeme Le Saux have represented the FA's full national representative team and were born in Guernsey and Jersey respectively. A loophole was closed in May 2008 by FIFA which allowed players born in the Channel Islands to choose which home nation within the United Kingdom they will represent at international level. During the 1990s, Trevor Wood (Jersey) and Chris Tardif (Guernsey) represented Northern Ireland. The British Olympic Association had fought against 'broken time' – monetary compensation for athletes' earnings when competing in the Olympic games. At the 1925 Olympic Congress in Prague, the British had made an amendment that concluded governing federations should define amateur status for their sports but only in accordance with the definition of amateurism accepted by the Olympic Congress. In 1928, Switzerland proposed to FIFA that in certain circumstances, 'broken time' payments should be allowed and FIFA accepted. The FA resigned from FIFA in protest against the proposal. As a result of the FA's resignation, England did not participate in the 1930, 1934 or 1938 FIFA World Cup. The FA has a figurehead President, who since 1939 has always been a member of the British Royal Family. The Chairman of the FA has overall responsibility for policy. Traditionally this person rose through the ranks of the FA's committee structure (e.g. by holding posts such as the chairmanship of a county football association). In 2008 politician David Triesman was appointed as the FA's first "independent chairman", the first from outside the football hierarchy. 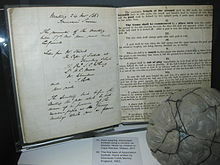 The day-to-day head of the FA was known as the Secretary until 1989, when the job title was changed to Chief Executive.